Toyota Rush is Expected to be launched in Oct 2017 - Dec 2017. The cars top model will cost around ₹10,00,000 and Cars base model will cost you around ₹7,50,000(ex-showroom Price). It has ABS with EBD to avoid wheel lock-up during emergency brakes. 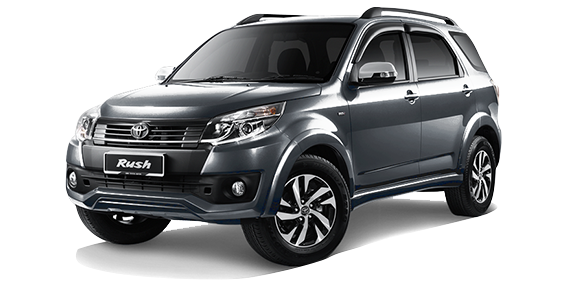 Toyota rush compete with this car like Maruti Vitara Brezza and EcoSport. The cabin of this car has a dual color scheme which looks sporty. The rush of this car has 7 seats. The seat cover of this car design with rear stitches adds more to its sporty appearance. The meter of this car has a new combination of red and white background. This car also consists of one-touch tumble, two headrests and reclining and sliding feature. The front of this car is Styled aggressive. The bumper of this car is chrome finished with dual-tone effect. There is round shaped fog laps, tinted windscreen and pronounced bonnet. The wheel arches fitted with pair of 16-inch alloy wheels. There is mounted LED stop lamp, sporty bumper with reflectors, rear spoiler and large windshield with wiper create a sporty rear.